Hey y’all! So, I’m not sure if we’ve talked about this before, but I am a Weight Watchers Ambassador! I was asked by Weight Watchers to be one when they first rolled out the program to have ambassadors in September 2016. It’s got some pretty neat perks! One of the coolest perks yet- I was asked along with the other ambassadors to try the new program out a little early! I’ve been sworn to complete secrecy so I couldn’t say a word and let me tell ya, it was TOUGH to keep it from you all. So, I’m sure you’re all here because you’re a bit wide-eyed seeing that there’s a new program and it’s the holidays and wait, what the what?! Well guys, it’s great. I wouldn’t be writing this post if I didn’t think so. I’m here to tell ya that I think you’ll all really like it. It’s got a lot of zero point food options, and I mean A LOT! Hello eggs! Hello beans! (P.S. I’m so glad I decided I liked beans back in August.) Hello seafood! Hello chicken breast! Hello non fat Greek yogurt! Hello turkey breast (And more)! Now that we’ve got a few things out of the way, let’s get down to what my experience with the whole deal is…. Yes, it’s so true. You’ll be losing some of your beloved daily points… and to me, honestly, that was the biggest challenge (Not that they were gone, but SEEING that they were gone). It messed me up a little at first because I would go into panic mode seeing my points lower before dinner time. I always spend the most points at dinner. I’m not a big dessert eater, so I rarely left room in my dailies for desserts in the first place. I’m also an avid believer in using my weekly Points. I use a few of those on the daily (if I feel that I’m hungry) and I use some extra the first couple days after I weigh in each week. Some will completely disagree with that and that’s totally cool. Weight Watchers is a plan that you can really tailor to your own needs. The thought behind it is basically you’ll lose a certain amount of points depending mostly where you are in your weightloss journey, but you’ll still be eating foods with calories like fruits, most veggies, beans, chicken, corn, turkey, eggs, seafood, and nonfat yogurt all still have calories, some higher than others, but you easily eat back the points you’ve lost with a couple of eggs and a chicken breast. Technically, you’re probably going to be eating more if you choose to eat more of the zero point foods. I started eating eggs for breakfast. Yep, I sure did. Every day. 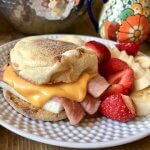 My Make Ahead Freezer Friendly Breakfast Sandwiches and Spicy Sausage Egg Muffins are a PERFECT low point option too. I like to keep my breakfast around 3-5 points. Now I know you’re thinking, “what about Biscuits N’ Gravy Bake?” I know, guys, I know. I still eat it on the weekends where I spend a lot of my weeklies. Also, Brinner! 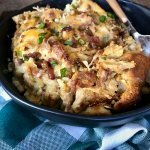 Eat a yummy breakfast casserole for dinner. Obviously, you don’t have to be like me. You can spend Points at breakfast if you’re the opposite of me and like having a light dinner. While testing out the new program, we were allowed access to a completely separate app that contained all the tools to track with the new program. The really cool part of this was that it synced with the normal Weight Watchers App, so you could see how many points you were spending on both plans. Let’s see if I can say this in a way that makes sense… When I would look at the regular Weight Watchers app at the end of each day (the one you all saw daily) I would almost always be 2-3 points over my daily allotment, and I was always right at my daily target with the newer program. And I lost weight every single week that I followed it faithfully! To add to this, Smart Points isn’t going anywhere, technically, all items will remain the same point value aside from the new zero point items and foods that contain those items.. None of your food or go to recipes will go up in points. Some recipes, restaurant items, prepackaged/frozen food will go down in points. So, don’t worry about food items going up in points! Honestly, I have NOT changed the way I have been eating all that much aside from breakfast. Yes, I’ve added some zero point items into some meals, sometimes. But, it’s not like I’m over here eating Southwest spiced chicken, corn, and black beans or chicken n’ bean chili for every single meal. That’d get real old, real fast. However, I have had both of those meals and they are very good and I’ll put a recipe together for them very soon! I still eat and work ALL of my recipes into my daily eats. 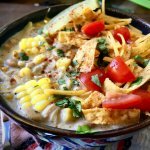 I will admit corn has made its way into my weekly meal plan a lot more, because I sure do love me some corn! 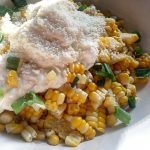 (Recipe ideas: Mexican Style Street Corn, Skillet Creamy Corn & Carrot Casserole) Greek yogurt has made its way into a lot more recipes too. Chicken has been my number one source of protein, so I already eat a lot of chicken! I love me a good turkey sandwich, but I’ll definitely start playing with turkey breast more in recipes. All in all, you have to balance your days just a LITTLE bit better. If you’re a seasoned Weight Watcher like me, you’ll get the hang of it after a week or so. There’s plenty of zero point and low point foods to play with now. What if I get tired of the zero point food items? I guarantee that you already eat a lot of the zero point food items. You just need to emphasize them a bit more, and in different ways. There’s tons of ways to dress up food. There are tons of bloggers out there who feature these items already. Just do a few google searches and also, stick with me! We’ll get this all squared away soon. 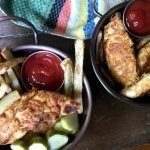 Being a food blogger, it’s exciting to have a little challenge thrown at me. I’ve been coming up with lots of new recipes that I’ll be rolling out the next couple months. I’ve been with Weight Watchers through Points Plus, Smart Points, and now we have Smart Points Freestyle. I can honestly say each time I’ve only had to make small changes. I do believe Weight Watchers is trying to give us the tools to live a fulfilling and healthy lifestyle. What if I don’t like most of the zero point items? Also, give some foods a try again, you know? I didn’t like nonfat greek yogurt for the LONGEST time. I’d stick my nose up at it at any given chance, but since the new program I’ve been adding it into things like mashed potatoes, mashed loaded cauliflower, creamy dishes, soups, on tacos, and in dips! I’m not sure if I just got used to it, or if I just needed to play around with flavors more to make it taste better, but it does the job just fine. Eric apparently hates it too, but he’s been eating it and loving it without complaint/knowledge for about a month now. I didn’t like beans for the first 28 years of my life. I actually just decided to give beans another chance in August of this past year while I was making chili for Eric. I had no idea there was even going to be a new program back then. I just really wanted to start trying to like them. As it turns out, I actually kinda liked beans! I just didn’t like kidney beans. (Why would anyone? Bleh! Ha! Kidding!) I actually love adding beans to a lot of things now. Sometimes, you just need to have’m the right way. Now I won’t tell anyone to like tofu. Don’t worry. If you like it, great, but… it’s just not for me. I won’t push that one on ya, ever. I find that it’s much easier to eat out now. Just the other day we went to a new restaurant and I looked over the menu and for the first time in awhile.. I saw A LOT of options. Before, I’ll be honest, it felt a little more restricted. I ordered the Southwest Chicken Salad. You know what was on it? grilled chicken, corn, black beans, onions, tomatoes, cheese, tortilla chips, and some dressing (I got it on the side)! I had the ENTIRE thing for 8 Smart Points. It fit perfectly into my day, and I didn’t even need to rearrange too many things to make it work. Plus, I didn’t have to track 75% of it. A few weeks back, we went out for burgers and I got a big ol’ burger with cheese and bacon on it. Yeah, it’s about 18 Smart Points… but you know what I had for breakfast? Eggs. Lunch? A huge chicken chopped salad and soup. Snack? Deli Smoked Turkey, pretzels, and a hardboiled egg. I was totally satisfied and I only used one or two weeklies. On Smart Points, I truly didn’t feel a big ol’ juicy bacon cheese burger was at all possible without using a bunch of weeklies, so I just avoided them while out. We don’t eat out much because I do love to cook, and I know I can make most things lighter in points. (Duh! that might be why I have a food blog. Ha!) But it’s really nice feeling like I can dine out more often, with a wider variety of food options, and I can stay on plan while doing so. What If I overeat the zero point foods? I thought about it myself a lot because I asked myself the same question several times. I sincerely doubt anyone can eat several eggs a day and still lose weight along with eating your points and other zero point options. But with that said, I also asked myself, can I actually eat several eggs a day? or five chicken breasts? a few cups of corn and beans? Probably not. I’ve never even wanted to in the past several weeks. So far, the most eggs I’ve eaten in one day is four, and it’s only because I was being lazy and didn’t feel like cooking dinner, so I made Brinner! There was one night I was out of points, so I had a bowl of corn for a snack. I mean, there are going to be times you use these zero point items to your advantage, but I don’t think it could really be done consistently enough to hurt you in the long run. Behold, The ZERO POINT FOOD LIST! You’re allowed to “roll over” up to four points daily into your weeklies. I’ll be truthful. I never “rolled over” any points and the whole idea kind of made me always think about a cell phone plan! Personally, If I see that I have some extra points to use, I’ll use some real cheese. (Seriously, thats my answer to everything though.) I think it could be a great idea if used properly, but I didn’t try it out. So I don’t really have much to say about it. However, I might at some point. I’ve only been doing this plan for a little over a month, so you never know! What’s going to happen to Daily Dose of Pepper recipes? I’ll have them all updated within the week! But it’s important to know… my recipes will not revolve around the new zero point foods all of the time. I will throw more out there, but as I said, I truly have been eating my recipes on a daily basis without any problems. I still eat red meat! I still eat pasta. I still eat cheese! The way I cook dinner will not be changing too much, but I have been working on some recipes that will feature the zero point items in a delicious and low point way. You’ll see them very soon! I’m more than happy to answer any questions you have about the new program. Leave a comment below and I will get back to you as soon as I can! P.S. I feel it’s important that I say that Weight Watchers did not ask me to write this post. While I am an ambassador, I’m not in any way a paid employee. All opinions and thoughts are my own, I wrote this post only to help all my sweet readers out there who may be a little worried about the new program! Hi there! I’ve just started this plan and am a bit confused about some aspects – I can’t get WW to comment so I thought you might have an idea! I wondered if, while not allowed, it would affect your weight loss to roll all of your points over after having a no points day? I’m just aware that calories have to go somewhere and I can still eat a fair amount of the no point food. I lost 4 pounds in the first week eating all of my points every day and then put 2.5 back on doing to same but using a few days points towards a particularly heavy weekend. Any ideas? Same amount of fit points collected. Thanks! I’m not exactly sure what you mean, Jennifer. I’m sorry! You should be able to ask a leader at any location or in your app there’s leaders that you can reach out to any time of day. You can roll over 4 points a day per the new ww “rules”. I’m VERY new to WW. I love the extra points every week, but I’m also strategic in how I use them… like I use the majority of them on my night off when I’m out with my boyfriend. Is that going to mess me up? I mean that day is like double my daily points but I’ve never gone over my weekly total. Does that make sense? I understand that the best way is to only use a few extra each day as needed rather than the majority at once, but I like the freedom to let loose once a week, or halfway let loose twice a week if I’m traveling. If I’m still within my daily + weekly extra range, do you think I’ll be fine? I know A LOT, A LOT of people who wipe their weeklies out in one meal/one day and it seems to work just fine for them! The way I like to eat and cook though it just doesn’t work that way for me. I need those few extra weeklies on a daily basis. I really think it depends on person to person, but i think you’ll be JUST FINE! Good luck on your weight loss! I hope my recipes help you along your way. Because Splenda, etc are sugar substitutes do you count points or is Splenda 0? Thank you for your help.I really like the FS program. Would appreciate an email. Hi Barbara. I believe all no calorie sugar substitutes are zero and splenda is zero, but I am not sure if it’s zero in large quantities like if you were baking with it. You should be able to check your tracker! Thanks for the review. I was really looking forward to the new program. 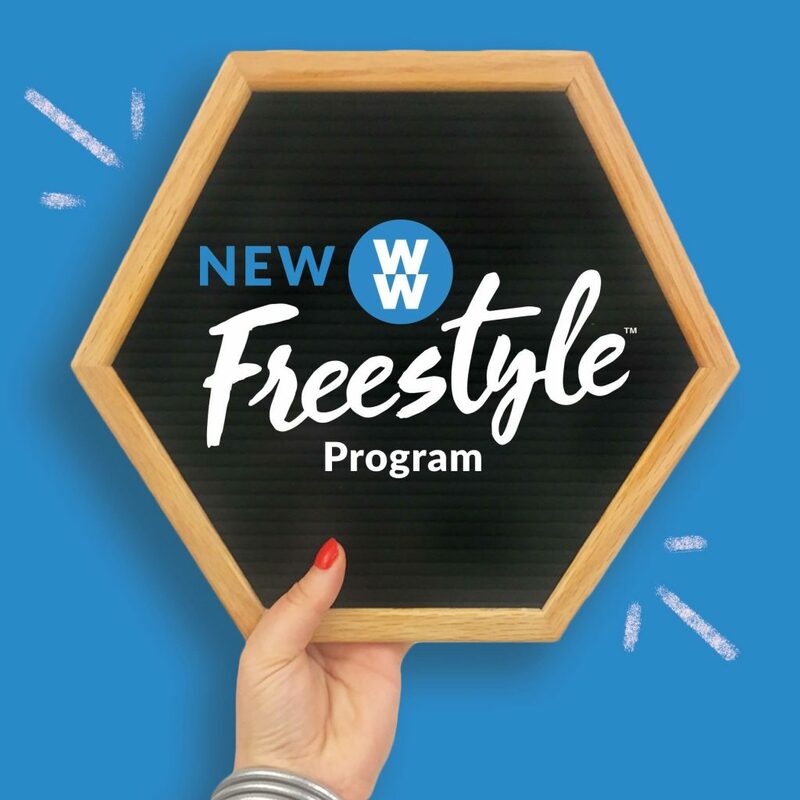 I always like when WW introduces their program changes and updates as it keeps thing fresh however I hate the Freestyle plan. I have been a member for over 15 years and this is the worst plan they have ever rolled out. I am really glad I have held onto my WW magazines from the past 2 years and that I always paper tracked and app tracked. Those journals are like gold because I can use them to follow the previous plan which worked great for me. I’m happy for you that you love Freestyle but for the thousands of us that don’t like it, it’s disheartening and we feel betrayed by weight watchers. Jean must be rolling over in her grave. So sorry to hear you’re havin’ a rough time with the new program. With anything new there seems to always be kinks to work out. I’m pretty go with the flow so it works for me! I hear all of the arguments for freestyle, but I just left the program today and will not return until they give me control of my choices. When they took away points and forced me to eat from their ‘free’ list, I looked at it as being forced to give up some control of my food choices. Granted the free foods are good and healthy, but ignoring quantity is just stupid. If you read the comments on various sites from people like me who were forced to change, you will see that fewer people are succeeding. WW removed choices and took away the points that helped me identify what was a good choice and a bad choice. However, I was in control of my points and if I was going to have pizza that night, I would make smarter point choices for the rest of the day. But I still knew my total points and I did lose about 20 pounds before freestyle. Now, I’m not losing and some of the problem is the confusion over what the points ‘used to be’ for items that are now on the freestyle program. Freestyle is not a good step forward. So sorry to hear that, Ed! I can see where the frustration is coming from. I’m personally still doing well with Freestyle. I also personally don’t approach freestyle the same way that I think some people do. I use the free items to bulk up recipes where I’ve seen a lot of people using items to make zero-two point meals and then eating not so well. I don’t know if thats how a majority of the people are approaching it these days, but with anything new there’s always some kinks to work out. I’m sure weight watchers hears everyone who is frustrated and is taking it into consideration. I was on the old program and would love to try the new freestyle program. I’ve had some health issues, gained 20 pounds in 4 months and had major surgery. Unfortunately, I loss my job and right now I can’t afford the expense. Hopefully, once I get back on my feet I’ll be able to rejoin. I know what to do but just don’t know my points allowed on the Freestyle program. Can someone help me with the calculation? Thank in advance with this. I don’t mind giving my weight and information for the calculation. BTW, I’m 52, 5’7 and weighs 272. Hi Star, just wanted to tell you about OLE brand tortillas. They have whole wheat and spinach flavors. The best part is it calculates to only 1point for one whole tortilla!!! I have been using these and they hold up well even using them for wet burritos. I am making for the first time your white chicken enchilada and will be using OLE brand. Your friend Barbara (from Pahrump Nv) and I (her mom) are looking forward to eating this. Wii get back with you on how it came out. Thanks again for all your hard work!!! Great post! Someone taught me a super-easy way to shred chicken and it’s a life-changer! Put it in a bowl and beat it with a hand mixer!! i can’t seem to find the points on the frozen Smart Ones diners which make it impossible to know how many points I have used for the day. How do I find out how many points are in the frozen smart ones I see the calories nor the points? If you have the app it’s actually easier than that! You can actually scan the bar code on the package! Tells you the points per serving right on the dot. The bar code scanner is fantastic, not just to shop with but to scan stuff you already have in the fridge or cupboard and figure out how many points it is. Hi Star. I’m considering starting on this new WW plan but wanted to know if there is a guide to restaurant meals. My family goes out to restaurants ALOT and that would probably be my downfall unless WW has a guide of what to eat at restaurants? I believe there should be a book available online or at your local meeting store. If you use the app you can also just type in the resturant and a LOT of them are already in their database which makes it easy. I will say Freestyle makes it MUCH easier to eat out! Went to my first WW meeting today in nearly 10 years, so lots of changes, but I am really excited about all the zero points foods! So many things that I love to cook and eat. I see people talking about how if you eat out and get a salad with chicken breast or prepared foods with chicken breast you can zero it out, but isn’t it important to know how the chicken was prepared? Cooked in oil, with butter etc? I assume the chicken breast is truly only zero points if it’s grilled or roasted without added fats or sauted with cooking spray. Or does preparation not matter? When restaurants say “grilled chicken” I have trouble believing that they truly just grill it with no added fats. But maybe I’m being too particular or skeptical!! Congrats on joining WW again! I think it really depends on the restaurant that you go to. If it looks like there was a bunch of oil that it was cooked in then I go with adding a couple of points. I follow the WW APP if it happens to be in their data base and I count what they recommend, but if it’s something that’s not in the APP I always just have a look at the meal and am honest with myself and track what seems to fit. I wish you all the luck! How does wine come out point wise on the new program? Still really high in points? I have been low carb for a while and thinking about switching. Back to weight watchers. I had a hard time with the last version but I think this will be more doable and give me more options than low carb does. It’s the same as before, but Weight Watchers has wine now that is 3 Points per 5 ounces I believe. I definitely think Weight Watchers has much more flexibility than following a Low Carb. Good luck to ya!! Is hominy a zero point food? Did anything change with tracking exercise points? I truly don’t track my fit points. I am new to WW and cannot find on the app where to learn about the difference between smart, fit, and weekly points. Also, I don’t know what to do with the number of points to the left, weekly points, which currently says 39. What does that mean? Points in them. How do I figure out what they are as free style points ? I’m a WW Leader and loved everything you wrote (and concur with everything) but HOW you have explained WWFS is so great. As expected, some of my members are having a bit of difficulty adjusting but most are doing great!! Love your page and posts!! PS – another Ambassador, “Sam” is from our area. Hey Star! Can you give me an update on how your doing with the new program and how weight loss is going? I’m so sorry that I am just responding to this! Since diving into the new program I have lost 11 lbs now (and that’s with a few small holiday gains!) I personally LOVE the program and it’s been working really well for me! It’s says Freestlye smart point. I am on ww point plus. Can I use freestyle points with point plus instead of smart points. If you add berries and zero calorie sweetener to your fat free yogurt, is it still zero you think? Hi there Regina! You should be able to go to weight watchers.com and sign up. You’ll use the app on your smart phone to calculate all your info. Thank you so much for sharing! I’m an oldie but goodie lifer myself! I lost 122 pounds on weight watchers & have kept it off for over 20 something years! I currently would like to drop a few Holiday extra pounds but am not overweight by any stretch! I think I’m going to try the New Program! Thank You! Can anyone help me recalculate my points? I forgot if I had 30, 32, or 35 points on Smart points when I was doing it last year. Thank you, I eat a lot of fruit so I’ll cut down and see what happens. How about fruit on this new FreeStyle? I know it’s full of sugar and I eat a lot of fruit. Will that hinder the diet? How much is too much fruit? I’d personally suggest to just see how your weigh in days go. If they aren’t going all that well then the fruit could be the answer. I’ve known people who have had to cut back on their fruit intake before. I think the standard is 3-4 servings a day is good for fruit, but don’t quote me on that! Would you know how to figure out Lean Cuisine entrees using the new Freestyle method? Last night I had the Chicken panini=10 Smart points so I deducted 2 points. Right or wrong? Do you know if WW is going to publish a Freestyle point system for commercial, supermarket foods? What about the Smart Point calculator? My meeting leader said to continue using it but it doesn’t make sense to me. There must be a new formula. You are so right about with any type of change there will be an adjustment period. Thank-you so much for reassurance 🙂 Love your recipes and can’t wait for more to come!!!! Thank you for such an honest yet positive review of the new program.My first meeting with the new program was snowed out so I just got the official information today. I look forwardto trying your new recipes! Thank you! You seem to be approaching the plan the same way I am. I haven’t changed what I eat all that much, but I’m adding in several 0 SP foods that I’ve had to plan for in the past (corn, beans, eggs, seafood). I’m still eating beef, lamb and pork, cause I love them. I tend to eat low SP breakfasts and lunches so my dinners are more open and variable. I’ve even added in more starches for dinner! Sorry, not that I know of. He’d need to sign up for WW online or go to a meeting for his daily allotment. I’m not 100% sure how the daily points are calculated. I know it has to do with age, gender, current weight, and height. Also, if the points went down from 30 to 23 how many weekly points is a person given now? Four points can be rolled over daily so yep you could bank 28 extra points for a splurge! I don’t think weeklies changed per person as far as I know. Mine didn’t change and I don’t think I’ve seen that happen to anyone else. How do you calculate what your new daily points would be? My husband does smart points at home, with the smart points calculator. We don’t know how to see what his new daily allowance is. Hi Tracy. I’m not 100% sure how Weight Watchers calculates daily Smart Points. I think it has to do with age, current weight, and height. Your best bet would be to attend a meeting so they could give him his new daily amount or to sign up online and enter that info. I hope that helps! 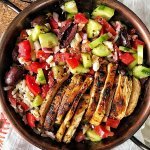 How do we find your recipes in the WW app? I’ve searched and searched and searched with no success. Ugh. I must be typing in the wrong thing. Thank you for this great article. I made lifetime in 1988, back when we had Exchanges and a few hundred calories a week for “indulgences”, so Weight Watchers is always improving! I love the Rollover idea – they used to call it “Banked” points before – and it was great to have extra flexibility on some days because you kept it a little more restricted another day. Great info here thanks! But what if you love eating the zero point foods and eat them all day long and at the end of the day you have a ton of points left?!? Is it ok to use them? On say, wine and cheese and crackers for a fun evening snack? Or is that a bad idea? thanks for posting this! i’m excited to learn about the new plan so having some perspective from someone who has been doing it ahead of my wednesday meeting is reassuring. i think i saw you mention on ig (or maybe it was fb, don’t remember) that aldi has ground turkey breakfast sausage now. i’m guessing that is not zero points – do you have any idea? wondering about that and chicken sausage (another go-to in my ww menu rotation). 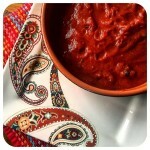 i love your blog – every recipe of yours that i’ve tried is phenomenal! i’ve gotten my best friend (who is also a weight watcher) turned on to them too! you’re the bomb, girl. I love your recipes! I finally made the biscuits and gravy casserole today. OMG! You truly are an amazing cook and recipe maker and all the while being a wonderful mom to that little darling Miss Pepper. Ok enough gushing. Do you know if the points are changing on the turkey sausage? Awe, how sweet are you!? You just put a big ol smile on my face! Unfortunately, the turkey sausage will not be going down in points because it’s only lean and not 98% fat free which means they use dark turkey meat mixed with turkey breast to make it a bit fattier so it still has that sausage taste. I know, what a bummer! 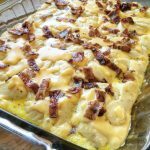 However, Biscuits N’ Gravy Bake can still exist in the new Smart Points plan… I’ve made a big pan twice in the past few weeks! Thanks for the quick response. I kinda thought the sausage would stay the same. Oh well. There’s still a lot of your yummy recipes that are going down in points so I think this “freestyle” change will be livable. Thanks again for answering and for your delicious recipes. What about canned chicken (in a can like tuna? ), will it be free now? If it’s 100% chicken breast and the only ingredients are like spices, water, chicken breast. It should be zero points! Thank you so much for this review!! I’m excited about the change! What about lunch meat? Low-fat turkey and chicken? Are they free? Thank you! Thanks for the positive review! I am waiting until my meeting Saturday to start, but it’s been so encouraging to hear so many positive outcomes already. I’m lifetime for a year next month! Yes, I freaked out this morning when I saw that I only had 23 points for the day opposed to 30, Your blog is helpful as my meeting is not till Thursday and I did need a little help understanding how to use the app. I was thinking that the points for foods that are not zero went up and that all my recipes need to go in the trash. Thanks for the help! When they say corn and peas are 0 points. Does that mean can corn and peas too? Thank you, thank you, Star! 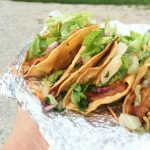 I’ve been a little skeptical since seeing everyone’s IG posts – it sounds great, but like you, I’ve been concerned with how it’d affect the way I currently eat. Looks like it won’t change too much, and I’m pleased to know I’m not going to have to do some serious math to have a burger. And hey, this means I can probably eat more tacos. I appreciate your thoughtful and honest post!! Hello! I saw that you mentioned ground turkey is included as a zero point food as long as it’s 98% fat free. What about ground chicken? also- is there anything you do to your Greek yogurt to adjust? (I do eat a lot of yogurt but I eat the flavored kind- the plain kinda has never been appealing). Anything you add to it to make it taste better? Yep, I forgot to add that. 98% fat free ground chicken is zero too! I’ve honestly used greek yogurt more as an addition to savory type foods so far. I haven’t played around with it too much otherwise. I do have a few things in mind though, and I will share if they turn out! Do you have the new daily points calculator? My husband does this with me but there is no way for me to find out his new daily points. No, I’m sorry I don’t have that type of info. He should get his new daily point target on his next weigh in day on the app! Thank you for this! My family loves your recipes! I make them several times a week and I love how simple and good they are! Plus the smart points help so much with tracking! Hi there – what if you eat a lot of zero points foods and not use all the daily 23 points? You’re in serious luck! I’d personally add some full fat items like cheese…haha! No really though, I’d just keep doing what you’re doing. I’d use points on meat that isn’t zero sometimes. I’d also eat some pasta. I could really find a million ways to use 23 points a day. I would just round meals out as best you can and keep traditional serving sizes of the free items in mind. It may be a little trial and error the first couple weeks, but you’ll get the hang of it! Thanks for the info! Other than the items that changed from whatever they were to 0 points, did the points value of anything else change on the new plan? Hi there! You’re welcome. All Smart Point items will be the same! The only things that will change are some restaurant foods, prepackaged/frozen meals, and recipes. But, they will all go DOWN in Smart Points IF they have the zero point items. Nothing will be going up. thanks for the update! I saw your post on insta and knew I had to come over to the blog and read your input. Super excited to try it out! Thank you for this!!! Such a positive post regarding the new program!!! LOVE IT!! 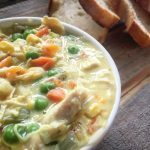 I am curious how low my favorite Chicken pot pie soup will be now that three ingredients are free! Thanks for all you do, Star! I believe that it is 3 Smart Points now. Just opening my up my computer right now to start updating recipes. You are so welcome! Are the recipes we have on our app going to convert? Or will we need to add them on the new program? Yes they should convert over just fine! I would double check JUST to be sure a few of mine did not, but the majority did. There’s bound to be glitches in the app in first week or two. “This is my life now.” Hahaha! I agree with you- I think the change will feel pretty natural! It does! Honestly. Just a few tweaks. When Points Plus changed to Smart Points I had to give up certain things (mostly my favorite yogurts), but I didn’t give up anything changing over this time. Thank you! I’ve been wanting to start WW again and now seems like a good time! I’ve been successful in the past . Tracking is what helped me . Excited to check out this new program ! Thank you , thank you for your views ! Plus I love following you and your recipes! How has your weight loss been since starting on the new plan? Thank you for all of the info on the new program. It sounds like it has some positive changes. I was a little worried but your post has calmed me down. I’m excited to hear all about it in my next meeting on Saturday. Thank you for sharing. I have tried weight watchers twice now and each time given up a month or so in. I am now a stay at home mama and my basic focus is my baby girl, my husband, and answering the routine question “whats for dinner”. I came across your blog a few months ago and have been following along. I LOVE every recipe I have made from your blog. I feel like I have more tools and resources to be successful if I give it a shot again. Truth is, I have to do SOMETHING…this baby weight is sticking like glue! 🙂 Not that you have to answer because I know you are beyond busy, but do you have any additional tips for success with the weight watchers program? I’m a stay at home mama too. I started this blog when Pepper was about 9 months old, and I started Weight Watchers (for the second time) when she was just 3 months old. I’m so very glad to hear that you are enjoying the recipes! The best tip I can give is to just be gentle with yourself while trying to lose weight. Running a household smoothly and raisin’ a baby isn’t easy and it’s a job and a half in itself. Take small steps at first with changing foods, take walks with the babe, or try a work out at home dvd. (Make it a goal to work out TWICE a week at first!) Drink water. (The more you drink, the more you’ll want to drink!) Eat foods you enjoy. Don’t try to eat things that you think you should be eating if you just don’t like them. Pick things you and your family will like. Just keep it simple at first. Weight Watchers truly becomes second nature after awhile. I know the worst thing for me is forgetting about myself. I make sure EVERYONE else is taken care of before me half the time. Try as much as you can to put yourself first. Even though, I know it is very hard. Best of luck! You’ve got this. Thank you so much, Star! I love your positive perspective on it! Thank you for your honest opinion about the new plan! I’m looking forward to something new as I too need a fresh start and this could be just what I need. Looking forward to more great recipes from you! I see plain nonfat yogurt is zero points, but what about flavored yogurt (so long as it is sweetened with something like stevia or aspertame.) Would that still be zero? I’m loving the Freestyle concept! Eggs! Beans! Corn! Tuna! Yaaaaaas! Thank you! I love your honest opinion. I think I’m going to adjust just fine! Your perspective is great.